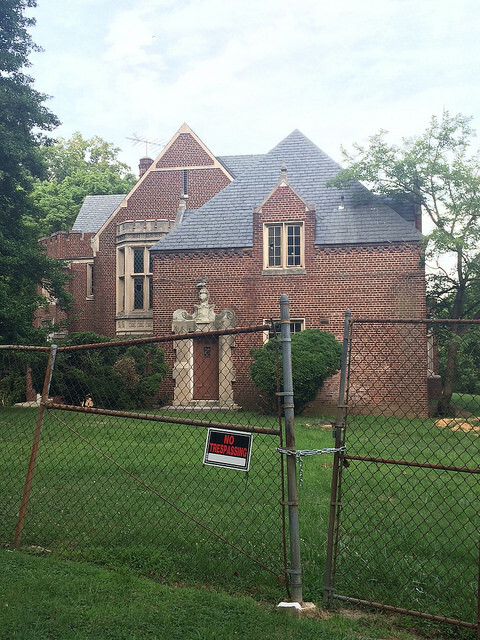 PoPville » Anyone Know What’s Going on with the awesome old Morris House? Anyone Know What’s Going on with the awesome old Morris House? 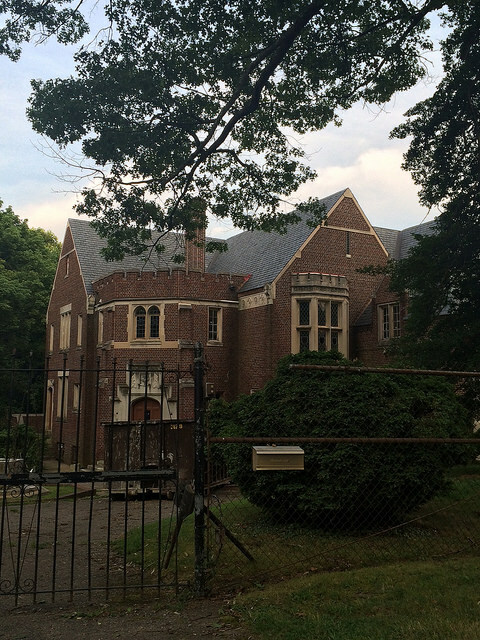 Today while on a walk through Rock Creek Park, I came across an enormous, beautiful Tudor house on the corner of Linnean Ave and Tilden St. It looked like it could be a swanky private prep school until we got closer and realized it was abandoned and in a total state of disrepair. After some Googling we discovered that this is the Morris House, originally home to former socialite and “unofficial host of the city” Edgar Morris and his wife Beronica. Even more intriguingly, it was purchased by the Democratic Republic of Congo in 1973 and has been owned by the DRC since. It served as the ambassador’s residence until 1995, when the ambassador lost his post – but he continued to live there until 2005 as a caretaker. Since then, it has been empty and unused, though there are holes in the fences and windows that suggest it has been explored. It was designated a historic DC site in March 2010. Here and here are more pictures. The address is 4001 Linnean Ave NW. There is a new-ish looking dumpster and portapotty on the grounds, so I’m not sure if there’s work being done.